Europe (EU) – Albania, Andorra, Armenia, Austria, Azerbaijan, Belarus, Belgium, Bosnia and Herzegovina, Bulgaria, Croatia, Cyprus, Czech Republic, Denmark, Estonia, Finland, France, Georgia, Germany, Greece, Hungary, Iceland, Ireland, Italy, Kosovo, Latvia, Liechtenstein, Lithuania, Luxembourg, Macedonia, Malta, Moldova, Monaco, Montenegro, Netherlands, Norway, Poland, Portugal, Romania, Russia, San Marino, Serbia, Slovakia, Slovenia, Spain, Sweden, Switzerland, Turkey, Ukraine, United Kingdom (incl. Gibraltar, Isle of Man and the Channel Islands), Vatican City. Aside from the qualified teams, 8 teams will be invited to stage 2. On day 1 lobbies will be seeded alternating based on the stage 1 Global Leaderboard, with the invited teams seeded randomly. 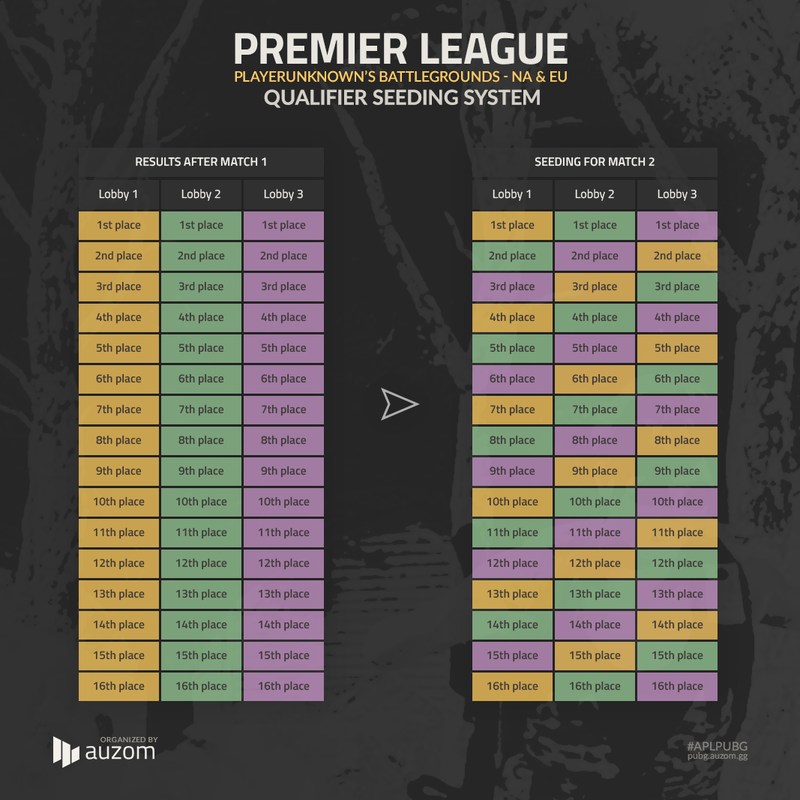 On day 2 the lobbies will be seeded in the same manner as stage 1 day 2. 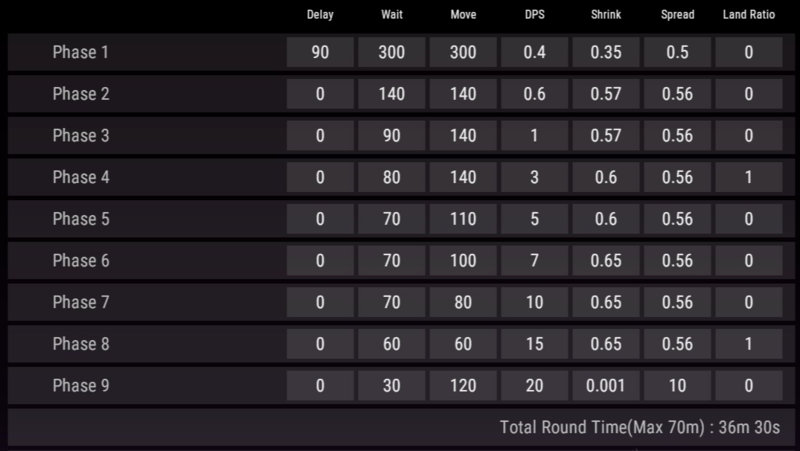 All rounds scores will once again be put on a Global Leaderboard, of which the top 7 teams will qualify to play in the Auzom Premier League Season 3. 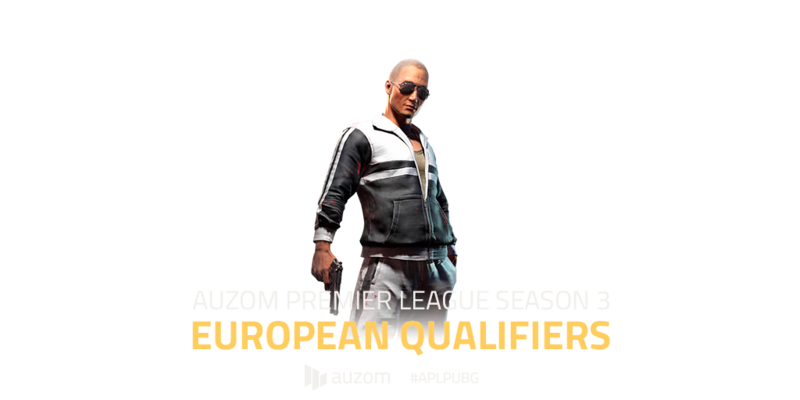 The top 7 teams will receive an Auzom Premier League slot to compete in the upcoming Season amongst the best of the best PUBG teams.